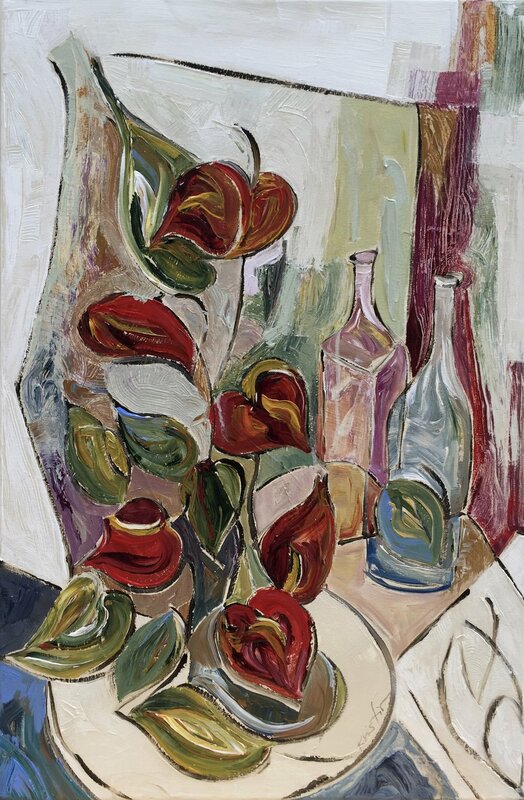 Join Us for Wine, Painting Demos & Remarks on Contemporary Art by Bob Rankin. Show runs through February 9. Visit Kristin in her new studio space (Upstairs Studio 23) in Durham, NC. Warehouse Artist studios at Golden Belt Campus. A renovated textile mill in historic Downtown Durham creatively re-purposed as residential lofts, unique commercial and a vibrant arts center with gallery, 25 working artist studios and the Durham Art Guild. Enjoy a visit! Happy to announce Kristin Gibson paintings now available in Atlanta! Director Kay Lagerquist-Bragg of Lagerquist Gallery invited Kristin to be a part of her beautiful gallery. Lagerquist Gallery is ideally located in The Shops of Miami Circle, a top resource for both the interior designer and retail customer. An Atlanta destination where one can find an extensive and diverse selection of fine art galleries and shops to suit all home décor needs. From traditional to modern, antique to new, The Shops of Miami Circle provide a world of interior design and art collecting opportunities. Enjoy Kristin Gibson's National Park & Monument paintings newly available as museum-quality prints. A wonderful gift for National Park travelers and enthusiasts. A colorful addition to any room, home, office or setting. A tribute to our treasured lands and ecological wonders. Each art poster is hand-printed and individually handled, to ensure the highest quality arrives for you. Matte archival paper and high quality inks create a vibrant image which looks great both framed and unframed. Pairs well with other prints in Kristin Gibson's National Park series, to create a gallery wall of two or more. "Since 2017 I have been committed to painting our National Parks, monuments and natural places as a small way to help support and protect places that matter most. With every poster purchased $1 will be given to our National Parks. Thank you for having a look, hope you may share with friends and family who enjoy exploring, visiting and hiking within our own backyards and beyond!" 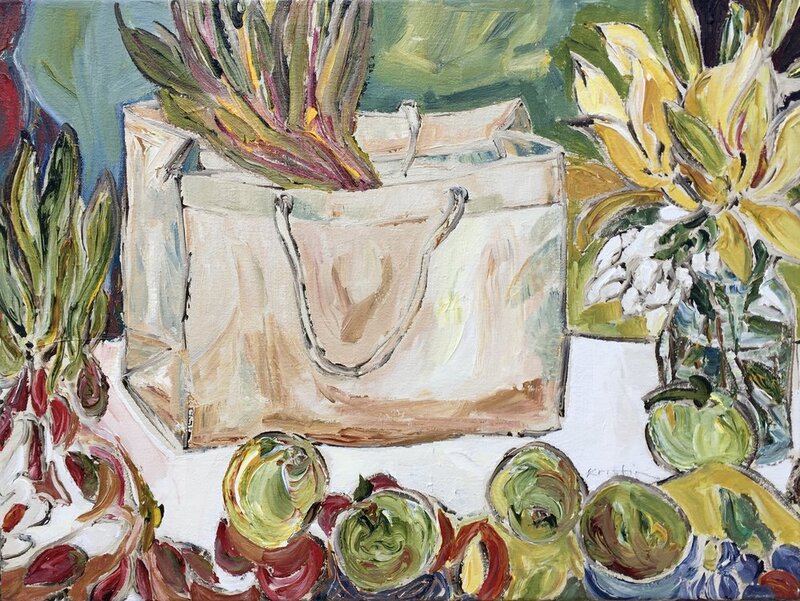 Annual Summer Show at the Coral Bay Club featuring new paintings, ceramics and sculpture. Show is open to the public. Shorts and flip-flops welcome! Enjoy complementary wine. 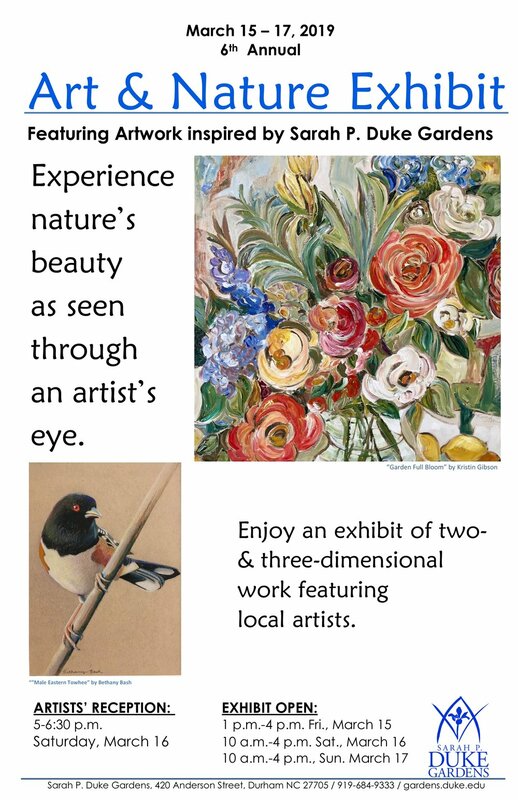 For more information, call City Art Gallery at 252.353.7000 or email art@cityartgreenville.com. 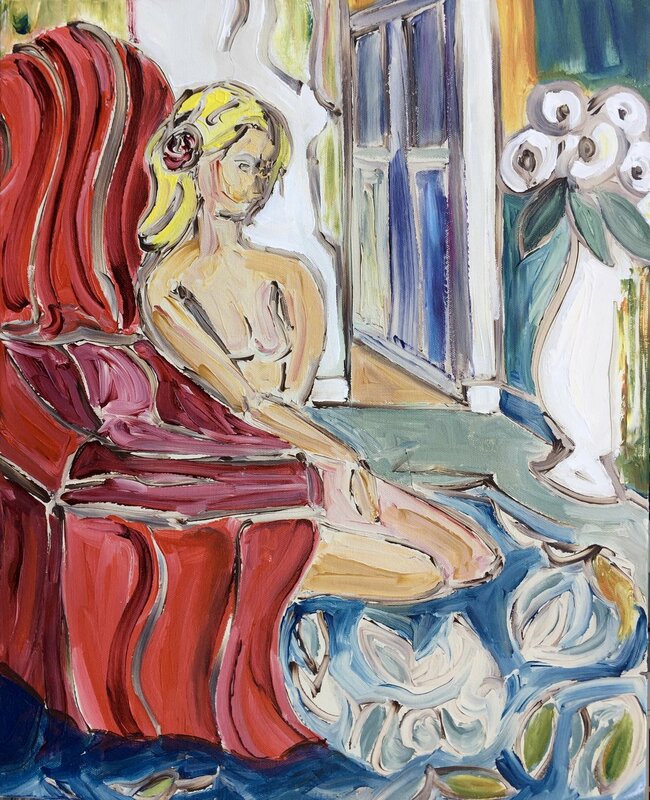 Kristin Gibson is proud to announce her painting titled "Blue Vase" was selected for the Arts and Health at Duke 2018 Patient Room Art Acquisition for Duke University Medical Center in Durham, NC. Arts and Health at Duke has been providing visual art for patient rooms and waiting areas for 40 years. As one of the oldest and most comprehensive hospital arts programs in the United States, Arts and Health is a recognized leader in the international arts and health movement. In 2018, Arts and Health continued the growth of its current collection and developed new partnerships with local artists and arts organizations, with a goal to collect roughly 60 works of art to be framed and placed in patient areas of Duke University Hospital. Each a visually-compelling work for our patients to enjoy during their stay. 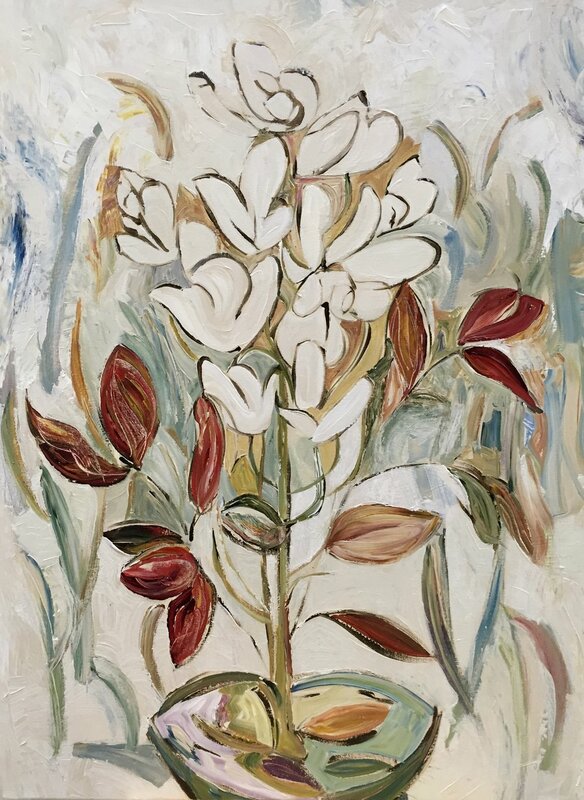 As both artist and mother of a child who received specialized medical care at Duke, I am truly honored to be among the selected works for patient rooms, and hope my painting may offer a bright spot and momentary respite. 'Tis the Season for Giving! Thank you to all who shared Giving Tuesday posts and especially grateful to the generous clients who selected paintings available here for the Holiday season. With these purchases, Kristin Gibson Fine Art was able to give three 40% donations to charitable organizations close to her heart: The Ronald McDonald House of Durham, F.E.A.S.T. and National Park Foundation. Additional sales this month from Etsy National Park paintings brought the donation to over $100 for our Parks, in addition to the previous donations made this year from Etsy sales, $5 for every painting sold. Very Happy Healthy Holiday Wishes to you and yours! Looking for a memorable, meaningful and easy solution for giving this season? Gift art to all! Available through City Art Gallery in Greenville, NC, send artist Kristin Gibson's hand painted greeting cards. Festive trees, candles, fruits, ribbons, flowers and more in Kristin's distinct style, grace high quality canvas cards. The folded card with matching envelope is Strathmore brand, size 7x5, canvas textured and acid free. Front of card is fully painted, inside is blank, back is signed and titled by artist. Cards will be enjoyed year after year, and can be framed like any other painting, sure to be appreciated by friends, loved ones and collectors at any stage. Petite original paintings for a petite price, we'll call it "Wow Factor" in the mailbox! Want to give a little more art, include inside a Gift Certificate from City Art Gallery for a larger Kristin Gibson piece. City Art Gallery is happy to be your Elf, call or visit the gallery if you are near. Cards can easily be shipped to you in time to write and send! to advancing gender equality and the empowerment of women, with programs in 100 countries. The New York Chapter of U.S. National Committee is an independent non-profit with a mission to support UN Women programs that promote the social, political and economic equality of women worldwide through education, advocacy and fundraising activities. New Kristin Gibson paintings delivered to Eno Gallery. Enjoy a visit to this beautiful space or call with your inquiries, gallery owners Mark Donley and Tinka Jordy are happy to greet you and share the array of amazing works they represent. Be sure to take in Tinka's amazing clay sculptures while you are there. 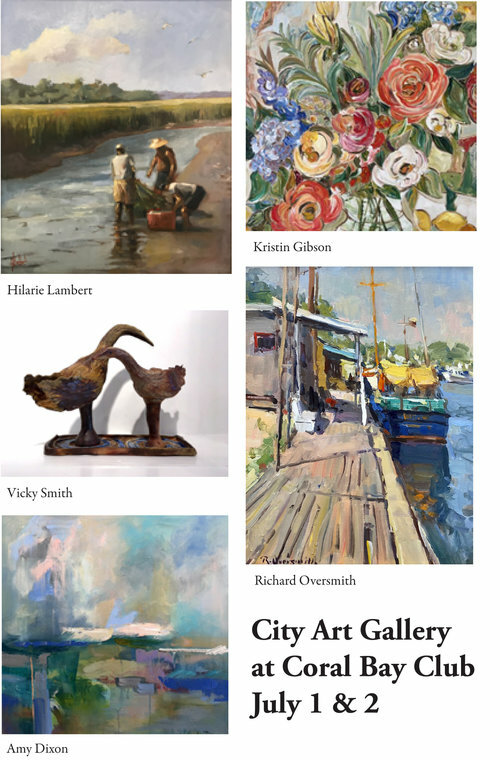 Eno Gallery is a contemporary fine art gallery in the Triangle, located in the heart of the Hillsborough, NC historic district, offering work from artists of exceptional quality and dedication. We are honored to represent some of the most creative individuals from both the Triangle region and national communities. We represent exceptional contemporary artists for both first time buyers and discerning collectors. A favorite project this summer has been painting and adding colorful thoughts to a new addition for the Ronald McDonald House Family Room in Duke Children's Hospital. A local Eagle Scout named Michael designed and built a beautiful coffee cart that will bring comfort and warm wishes in the form of hot coffee to the families in pediatric and neo-natal intensive care. I had the pleasure to meet this wonderfully industrious high school student and his parents when they delivered the cart to the House in Durham. The next step was painting, and I was truly honored when asked to lend my brushwork, to be able to give back a little more to this amazing place. Most of all I wanted to complement the outstanding job Michael had done and project a cheerful uplifting presence. Ahead of my thought process I had the opportunity to see with Chris Ruggeri, RMH Duke Family Room manager, the pediatric units and the Family Room where the cart would be rolled and shared room to room. I know how it feels to stay in the House and be in other areas of Duke Hospital for the care of my daughter, but walking through these ICU units with tiny miracles and warriors behind each door, certainly has stayed with me and wove it's way into what emerged for the cart.